Most libraries in the US are small. For public libraries, this means that the population served is under 25,000 people. Similarly, two-thirds of academic libraries serve institutions with fewer than 3,000 students. When it comes to school libraries and many special libraries, staff numbers are typically small as well. What this means, practically speaking, is that many librarians work without colleagues at hand to help answer those pesky questions about the mundane work we didn’t learn how to do in library school. (Marketing your library, anyone?) This roundup includes recent titles that may serve as guides to a few of these areas. In small towns, the library may also house the archives, or have a substantial local history and genealogical collection. In writing The Lone Arranger: Succeeding in a Small Repository, Christina Zamon has created a basic guide to managing archives on a one-person basis or on a part-time schedule. With clear explanations, case studies, and several references to additional resources, Zamon walks the reader through issues related to administration and collections—including handling gifts, processing materials, managing security, dealing with public relations, putting together exhibits, and raising money. The lessons on intellectual freedom may feel like distant ideals—until an issue arises at your library. 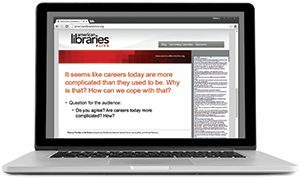 With Protecting Intellectual Freedom in Your Public Library: Scenarios from the Front Lines, author June Pinnell-Stephens and ALA’s Office for Intellectual Freedom have completed the set of three practical guides to the Library Bill of Rights and its interpretations, as well as ALA’s Code of Ethics. For school libraries, check out Protecting Intellectual Freedom in Your School Library: Scenarios from the Front Lines by Pat Scales, and for academic libraries, Protecting Intellectual Freedom in Your Academic Library: Scenarios from the Front Lines by Barbara M. Jones. Like the others in the set, Pinnell-Stephens’s guide contains case studies, sample forms, references for additional reading, and practical advice on some thorny issues facing public libraries: challenges to what’s in a collection, access to resources, privacy, and confidentiality. She also addresses “not books” issues, such as concerns over meeting rooms and bulletin boards. Marketing your library is a constant necessity: Your community needs to be aware of special programs and services, and positive awareness of the value of your library is critical when the time comes to seek support for a new initiative. Marketing Your Library: Tips and Tools that Work is a collection of essays from librarians working in all types of libraries. The mini-case studies—compiled by Carol Smallwood, Vera Gubnitskaia, and Kerol Harrod—provide ideas for using social media, developing your brand, building community partnerships, doing better advocacy, and using programming to raise your library’s profile (and get higher attendance). 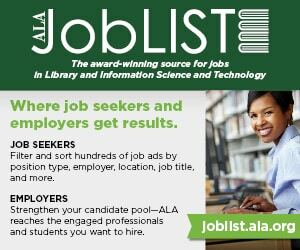 Like the tips in the Great Library Promotion Ideas series of the late 1980s, published by the John Cotton Dana Library Public Relations Award Committee, these are ideas any library—big or small—can use. I grew up in a village that was established 300 years ago. While there had been flooding in the past, the damage was minimal and mostly enriched the flood plain for truck farms in the area. But the aftermath of Hurricane Irene this past fall was different: Among other blows, the village library lost its entire children’s collection. The moral of the story: You may think it won’t happen to you, but it could. The third edition of Miriam B. Kahn’s Disaster Response and Planning for Libraries could be the strategy map you need to prepare for the worst—be it tornado, flood, or fire. Kahn provides the how-tos of preparing an effective plan and executing it well during an emergency. Without cataloging, materials in a library would be nearly impossible to find. Even though catalog records are readily available, understanding how they are put together to unlock the rich metadata built into a catalog record remains a useful skill. British instructors of cataloging Anne Welsh and Sue Batley have written Practical Cataloging: AACR2, RDA, and MARC21 as a problem-solving guide to the most common cataloging problems found in libraries. It will not be the last book to present the new RDA principles, but because it references AACR2, it serves as a bridge from the standard we have used for a generation to the new standard that could be used for generations to come.